This entry was posted in Dresses and tagged Designer Dresses, Formal, House Of Replica & Original, Party Wear, Printed Replicas, Sana Safinaz 2013, Sana Safinaz Bridal, Sana Safinaz Clothing Line by Style Cry. Bookmark the permalink. We need prices of Replicas of Sana Safinaz, Khaadi, J., Gul Ahmed and others u have. Could u tell.me.how can I order above viewed dress?? i have an outlet of replicas in lahore. 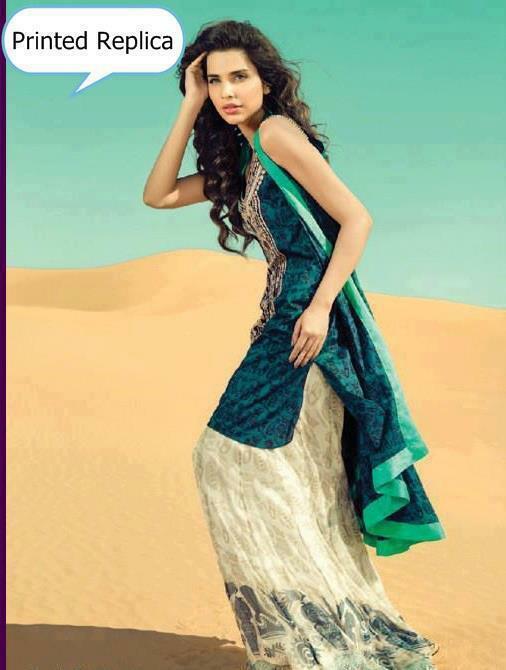 I want the replicas of latest collection 2014 for all designers u have with there price ranges. I want to buy replicas on wholesale terms for winter collection, pl. contact us 0333-4476715.
clothing. I am interested in purchasing ladies designers replica suits A grade & B grade copies. Pl. let us know the prices of Sana Safinaz, Asim Jofa and Sobia Nazir,s Replica. Pl code Whole sale price.